Each year, United Way of Martin County’s CHARACTER COUNTS! 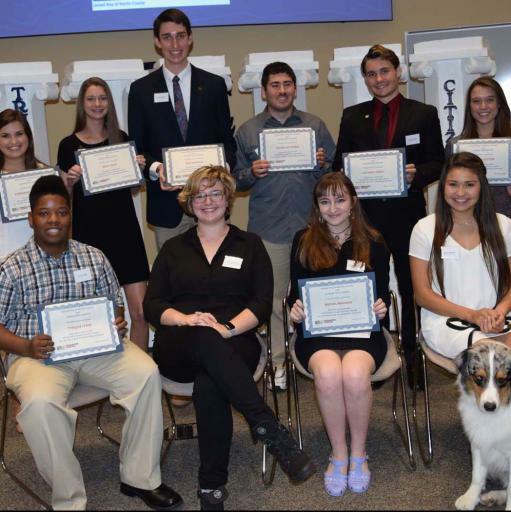 hosts the Joe Kordick Youth Character Awards to honor students whose lives and achievements demonstrate an enduring commitment to any or all of the Six Pillars of Character – Trustworthiness, Respect, Responsibility, Fairness, Caring and Citizenship. Examples of qualities associated with good character include: uncompromising integrity and courage shown by a willingness to do the right thing despite social pressures or personal risk; generosity of spirit and willingness for self-sacrifice in devotion to helping others; community service in working for the common good; or perseverance and inner strength to overcome physical, financial or other difficulties. Nominations for this year’s Joe Kordick Youth Character Awards, sponsored by Phyllis Kordick; Kramer, Sopko Copeland & Clasen, P.A. ; Carr, Riggs & Ingram LLC; and Tykes & Teens, are due by 4:30 p.m., Wednesday, Nov. 14. Nominees must be Martin County public school students in 7th, 8th or 12th grades. Nomination forms and guidelines are available at www.unitedwaymartin.org/JKYCA or by contacting Holly Laiben at 772-283-4800, ext. 234 or hlaiben@unitedwaymartin.org.